Yes, all of the Caswell Impression blocks have been hooked! It’s been fun to hook ’em and now it’s fun to see them come in with a variety of interpretations. 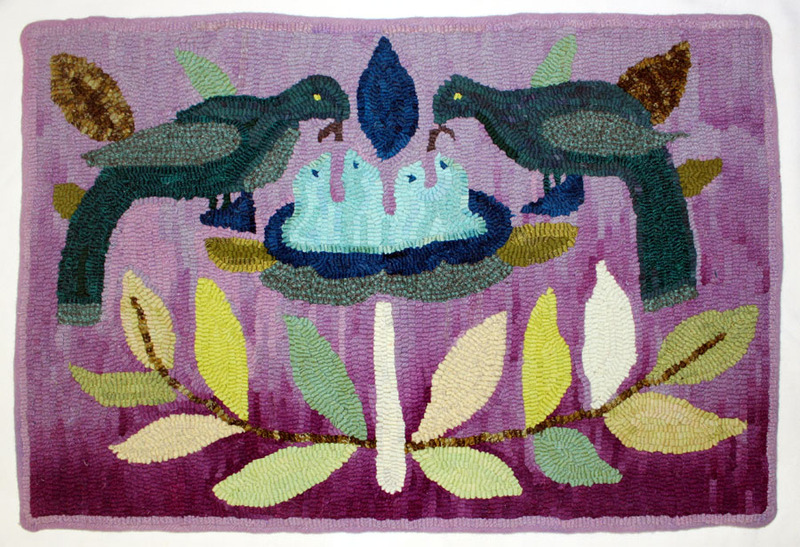 Sara Judith is a Master at punch hooking rugs; using combinations of yarns to create colour magic! I can hardly wait to get this lovely Caswell block in my hands! 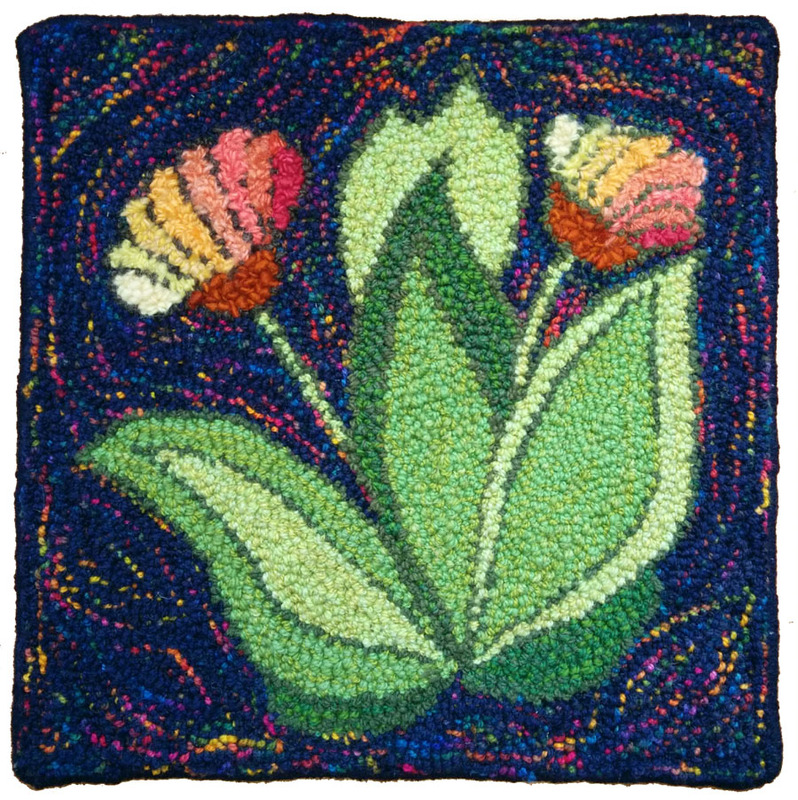 Sara will hand it off to Brigitta Phy at Puget Sound Rug School in a couple of weeks. Puget Sound is really the jumping off point for my Caswell Impressions project; it was last year while I was preparing to teach at Puget Sound Rug School that I decided to open up the project to other rug hookers. It was the perfect place; an intimate and inclusive rug school. I printed up 40 of the patterns I had created by that time, offered to loan the patterns to participants and asked them to hook it their way! 25 rug hookers did. 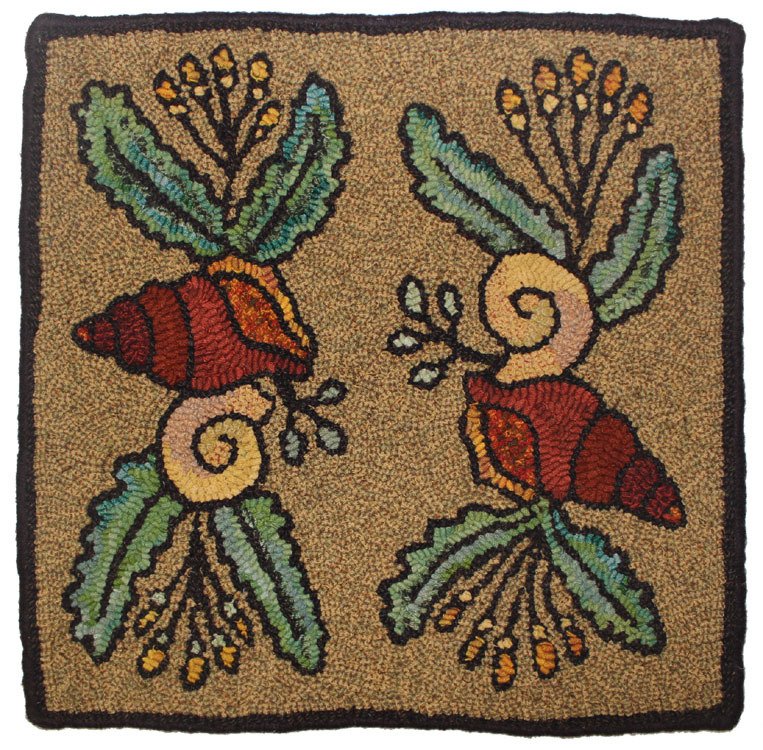 Michele loves a challenge; she says, “In a design class I am presently taking there was a challenge to use a graduated dark to light in the motif and the opposite in the background which inspired me to try it out on this pattern. These are not my normal colors and I like to challenge myself so I went with the purples and yellow greens.” These are my colours and I love the way Michele hooked this piece! Sara Judith and Michele Wise direct the Puget Sound Rug School which a big reason it is so special! Each year, they invite three great teachers to come and teach a specific class; it makes for a stimulating and creative gathering. « More arriving Caswell Impressions!